Among the lessons we’ve learned as a Medicare fraud law firm is that fraud doesn’t always look like you think it does or involve the type of services you’d typically expect. Most people would presume a case of Medicare fraud would involve a geriatric doctor, senior care facility, provider of age-related medical devices, or maybe a general practitioner. However, as the case discussed below reminds us, Medicare fraud extends into every facet of the health care industry. It is only with the help of honest whistleblowers that we can hope to tame this growing beast. In April, the Justice Department announced the filing of a seventy-six count indictment charging South Florida Doctor Salamon Melgen with assorted counts tied to his alleged participation in a Medicare fraud scheme. The charges include 46 counts of health care fraud, 19 counts involving filing false claims, and 11 counts of making false statements involving health care. From January 2008 through December 2013, Melgen billed Medicare for more than $190 million and his practice received reimbursements in excess of $105 million. Officials believe much of this money was received as the result of fraudulent actions. 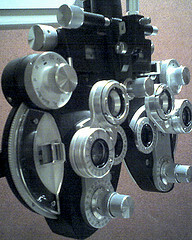 Melgen practiced as an ophthalmologist and retina care specialist. He owned Vitreo-Retinal Consultants of the Palm Beaches (“VRC”) with four locations in South Florida. His practice was, per the indictment, extremely high-volume with more than 100 patients receiving services each day, including many Medicare beneficiaries. According to the indictment, from 2004 through 2013, Melgen took part in a scheme to defraud Medicare and other programs by filing false claims and putting fraudulent entries on the medical charts of VRC patients. Allegedly, he knowingly and inaccurately attributed serious eye conditions such as macular degeneration and retinal disorders to patients. Based on the false diagnoses, Melgen reportedly performed and billed for unneeded, unreasonable procedures including unnecessary laser surgeries. He also reportedly billed for services that were never performed. The claims tied to improper entries on medical charts include drawings and diagrams believed to be fictitious and that officials believe misrepresented patients’ eye health. On a more specific note, the Justice Department suggests Melgen made extreme and improper profits on Lucentis, a drug used to treat wet macular degeneration. He allegedly purchased the drug and then had “single-use” vials split into multiple doses and administered the reduced dose to multiple patients, billing Medicare and other insurance providers as if each patient received a full dosage. As this case demonstrates, fraud affects almost every part of the health care system. A 2012 report by the Government Accountability Office found the defendants in about 25% of Medicare fraud criminal prosecutions were medical facilities (clinics, practices, and other medical centers) and their affiliates, 16% were suppliers of durable medical equipment, and 3% were beneficiaries. On the civil side, hospitals were nearly 20% of the defendants in health care fraud cases, other medical facilities accounted for 18%, and individual beneficiaries less than 1%. There was no mention of specific areas of practice, likely because the cases run the gamut from wheelchair manufacturers to nursing homes to eye care facilities. Medicare fraud diverts taxpayer money from programs that are already struggling to provide health care for a deserving population. Medicare fraud endangers lives not only by taking these much-needed funds away from those truly in need, but also directly endangers the health of patients whose medical charts are compromised by fraud. These patients may receive dangerous, unneeded treatments while actual needs go unmet. If you are a witness to Medicare fraud, you can be part of the fight to end this dangerous crime. Medicare fraud can be hard, if not impossible to detect, and it is often only insiders and/or beneficiaries who notice something is amiss. We cannot fight this fight without you. Call our Medicare fraud whistleblowers’ attorney to learn more.